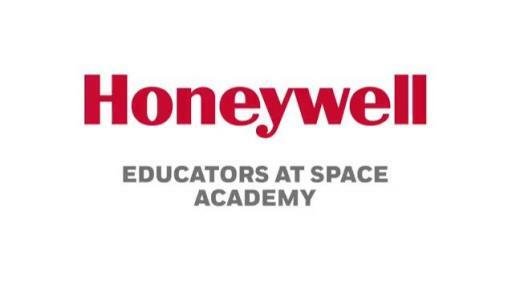 TEACHERS TO PARTICIPATE IN ASTRONAUT TRAINING PROGRAM AT THE HONEYWELL EDUCATORS AT SPACE ACADEMY IN HUNTSVILLE, ALA.
HUNTSVILLE, Ala., June 12, 2017 – Honeywell (NYSE: HON) and long-term partner, the U.S. Space & Rocket Center (USSRC), will welcome more than 200 middle school teachers from 33 countries and 45 U.S. states and territories to the Honeywell Educators at Space Academy (HESA). Over the course of two consecutive weeks, from June 14 to 27, teachers will experience a unique opportunity to re-ignite their passion for science, technology, engineering and math (STEM) education. Honeywell Hometown Solutions, the company's corporate citizenship initiative in partnership with USSRC, created this award-winning scholarship program in 2004. Since then, HESA has graduated 2,776 educators from 62 countries and 52 U.S. states and territories, reaching more than 3 million students around the world. The program includes 45 hours of classroom and laboratory instruction focused on science, space exploration and leadership skills development. Teachers will participate in astronaut-style exercises such as high-performance jet simulation, scenario-based space missions, coding challenges, land and water survival training and interactive flight dynamics programs. Through these exercises, teachers learn how to reinvigorate their classroom with ideas, lessons and other materials. HESA candidates complete a rigorous application process. Qualified teachers are awarded scholarships, round-trip airfare, tuition, meals and accommodations, thanks to the generous support of Honeywell and its employees. Honeywell Leadership Challenge Academy is part of Honeywell Hometown Solutions, the company’s corporate citizenship initiative, which focuses on five areas of vital importance: Science & Math Education, Family Safety & Security, Housing & Shelter, Habitat & Conservation, and Humanitarian Relief. Together with leading public and nonprofit institutions, Honeywell has developed powerful programs to address these needs in the communities it serves. For more information, please visit http://citizenship.honeywell.com/. Honeywell and the Honeywell logo are the exclusive properties of Honeywell, are registered with the U.S. Patent and Trademark Office, and may be registered or pending registration in other countries. All other Honeywell product names, technology names, trademarks, service marks, and logos may be registered or pending registration in the U.S. or in other countries. All other trademarks or registered trademarks are the property of their respective owners. Copyright 2017 Honeywell.